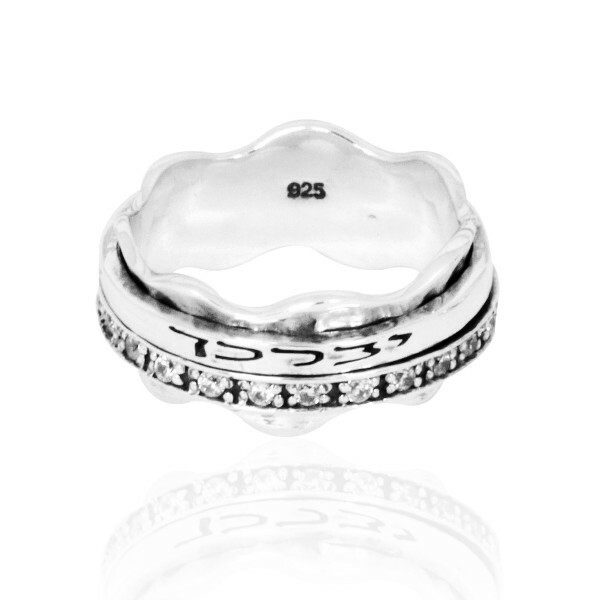 Sterling Silver, this spinner ring is a stylish crown shaped ring with "May Gd Bless You and Protect You" written on it right above a line of lovely white cubic zirconia stones. 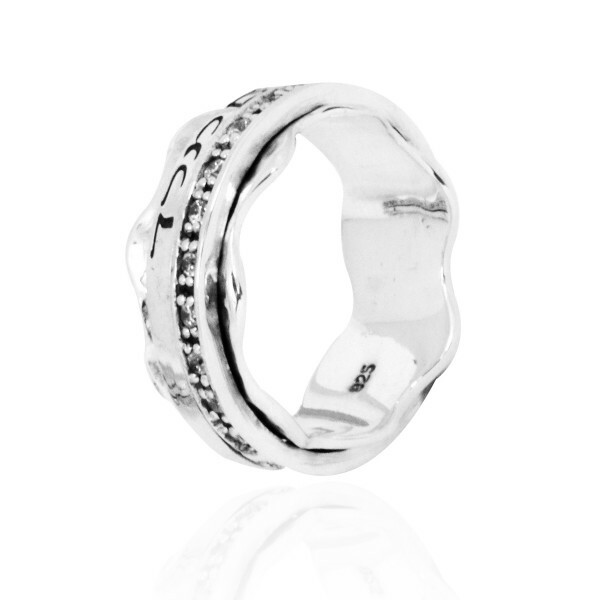 This gorgeous Sterling Silver spinner ring is set with white sparkly cubic zirconia gems and in engraved with the words "May Gd Bless You and Protect You." It is also shaped like a crown for your finger, a lovely stylistic choice that makes this piece of Jewish jewelry both meaningful and fashionable.